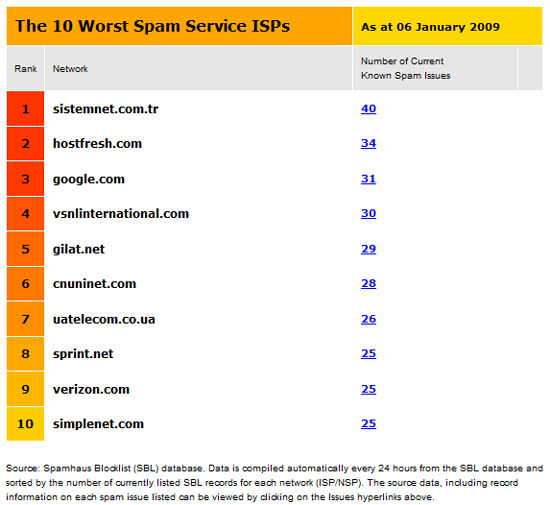 The statistics from january 2009 comming from Spamhaus, are ranking Google.com as the 4th worst spam service ISP. Looks like the 31 cases/reports are quite new and related with teh Google Docs vulnerabilities. Google already announce they are working on a solution for this problem. 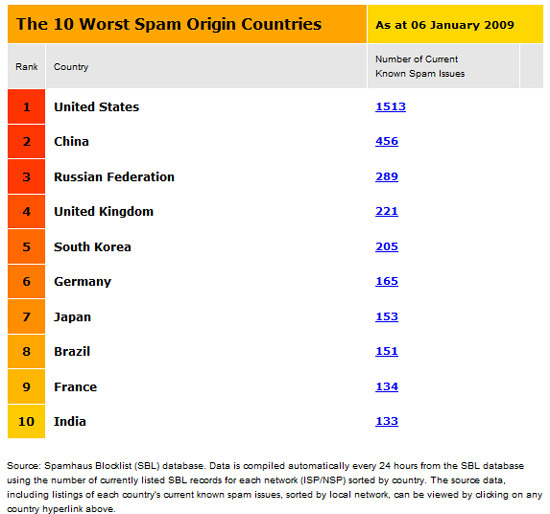 Also this month Spamhaus release a statistics over the The 10 Worst Spam Origin Countries and The 10 Worst ROKSO Spammers. Although all networks claim to be anti-spam, some network executives factor revenue made from hosting known spam gangs into corporate policy decisions to continue to sell services to spam operations. Others simply decide that closing the holes in their end-user broadband systems that allow spammers access would be too costly to their bottom lines. Published: 06 Jan 2009 by Cristina Mailat, in: News Tags: Google, isp, spamhaus, worst stap RSS feed for comments on this post.